I am pleased to announce that I have finally made it to New Zealand after spending several longwinded months rowing single-handedly across the Pacific of my bedroom floor (see February update for explanation). This has resulted in me sinking up to the gunwales in 80,000 watery words. These water-words are now riding at anchor on my editor’s desk awaiting further orders. 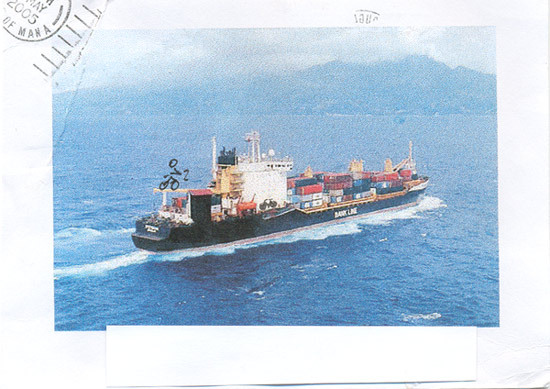 This is the Russian freighter of rusty delights that conveyed me 15,000 miles to New Zealand.